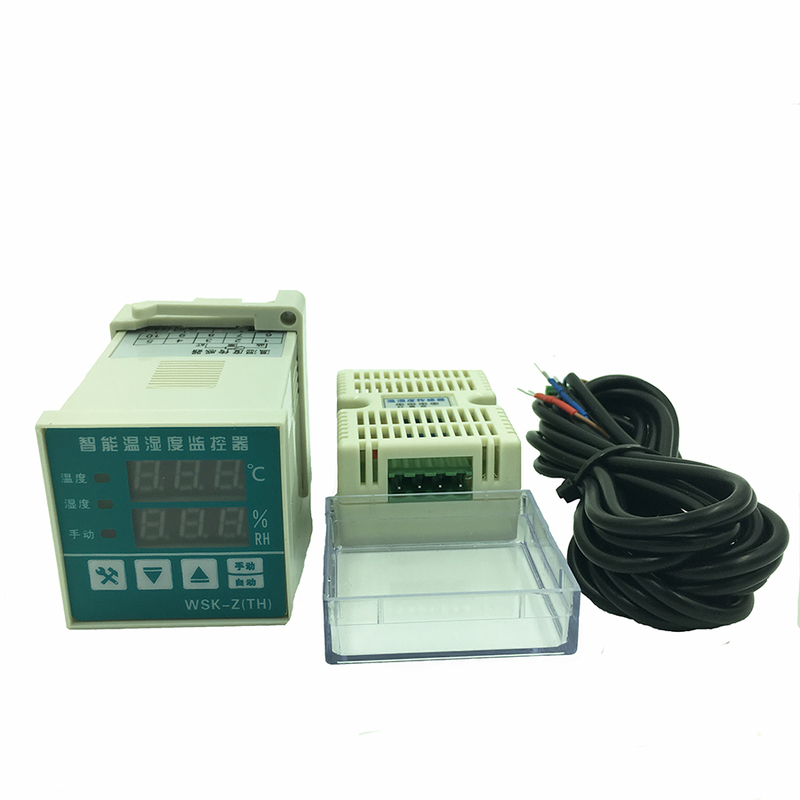 WSK-Z(TH)Intelligent temperature and humidity controller is mainly used for power equipment (Such as outdoor terminal box, high and low voltage control cabinet, box-type substation, the breaker box, meter box etc. ) And other except moisture, prevent dewing, automatically control temperature can effectively prevent because of damp, condensation, the temperature too high (low) as a result of accidents, ensure efficient and safe operation of the automatic operation. Co1: temperature start value, Co2: temperature stop value. Ho1: humidity start value, Ho2: humidity stop value. The factory initialization: Co1 = 5℃; Co2 = 10℃; Ho1 = 85%; Ho2 = 75%. When the digital tube display Ho2, set humidity exit value. Manual start: press hand/auto, manual indicator, manually start the two load; Press the hand/auto key again, lights out manually, restore to state automatically. On the install panel issued 45+0.5mm×45+0.5mm hole, through the mounting bracket will monitor is fixed on the front panel.